All Saints, Preston Bagot, is surrounded by open fields, off Preston Fields Lane, just north of the Warwick Road. The church has one of the most stunning outlooks of any church in the rural Midlands. 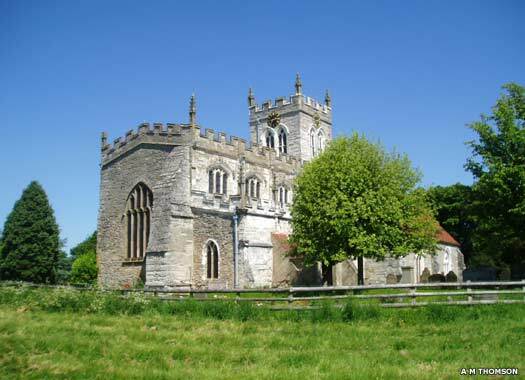 Built in the mid-twelfth century for its 'parish of the priests' (Preston) which extended as far as what is now Henley-in-Arden, it quickly deteriorated when it was left with just a hamlet after Thurstan de Montfort's castle church of St Nicholas at Beaudesert claimed most of its parish. 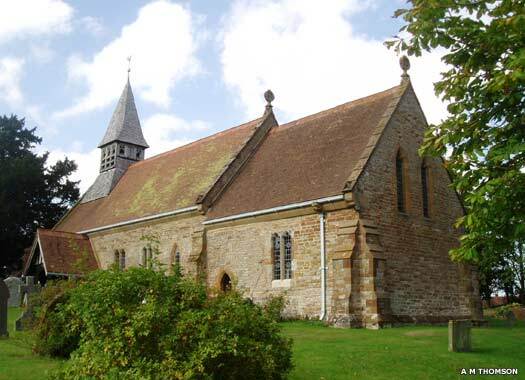 The church was saved in 1878 by the architect J A Chatwin who not so much restored a dilapidated chapel as created a small 'mediaeval' church around the existing nave and the chancel, which was probably an early thirteenth century addition. The latter was probably divided entirely from the nave until Chatwin added a chancel arch. 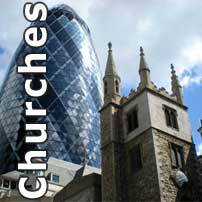 He heightened and lengthened the rest of the building and added a Romanesque chancel arch. The bell-cote is probably fifteenth century. St Peter, Wootton Wawen, is on the northern side of the Stratford Road, close to the junction with the Alcester Road. The church is the oldest in Warwickshire, with a Saxon tower and crossing dating back to around 900, when the Forest of Arden was much thicker than it is today. The region was settled by the Saxon Stoppingas, probably in the late sixth century, when the kingdom of the Hwicce was formed in Anglo-Briton Gloucestershire and parts of Warwickshire. Wootton Wawen's name originates from its tenth century Saxon lord, Wagen ('Wawen'). A Saxon monastery was built here (no trace remains), but earthworks mark the site of a later Norman Priory which was closed by Henry VI in 1443. 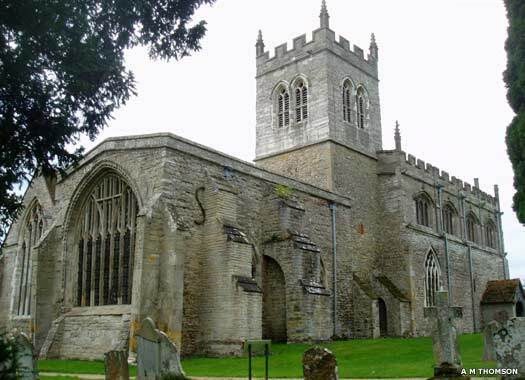 In spite of the growth of nearby Henley, St Peter's was still the most important church around. At the churchyard cross Friars urged people to join the Crusades, but the Prior and most of the village were wiped out by the Black Death in 1350. Much of the lower part of the tower dates to the eleventh century (pre-Norman Conquest) and is built of very rough small rubble with a few larger unsquared stones. The lowest stage now serves as the chancel. 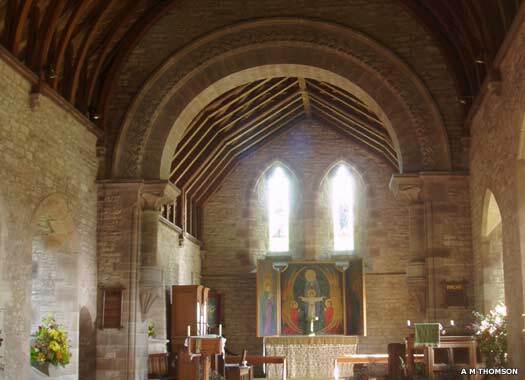 The nave was rebuilt and probably enlarged in the twelfth century. 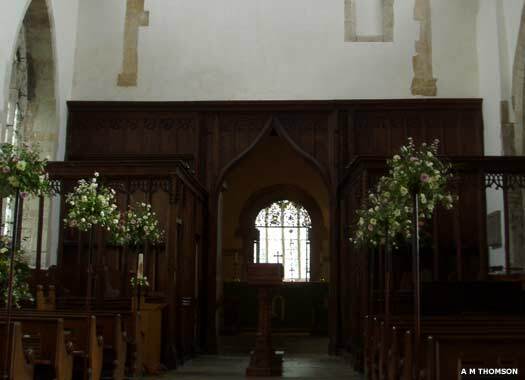 The present chancel walls may be of mid to late thirteenth century, but there may have been wholesale rebuilding work carried out in the fourteenth century. More restoration was done in 1881.